Yes! I've been dating and doing relationship recon for y'all with the help of MTV's Are You The One, and I'm here to dish out my findings. Let me start by giving all of you a virtual hug, because dating is fun but also v annoying. It can be a big hit on your ego, it's stressful and there's never a shortage of awkward moments. I'm gonna dive into a list that's sure to help! And if any cuties are out there and wanna chat me up, take notes! 10. Why Are You Dating? Take the time to understand where you are in life. Are you dating because all of your friends are and you want to fit in? That's never a good reason. Dating a few days after a break up? Also not the best choice. Dating because you're full of self love and want to share your dorkiness with another? Ding Ding, Winner! 9. What Are You Looking For? Think about the kind of personality you're attracted to. Is humor attractive to you or intelligence. Understand what it is you want first before you wind up with something who you've settled for. 8. Where Are Your Finding Dates? So many apps and dating sites out there. I think Tinder is cool for casual fun/dating and OKCupid is great for possibly meeting a serious partner. There's really no wrong place to meet a date. Tumblr, IG and other socials are great to meet like minded potential cuties too! 7. How Are You Portraying Yourself? I mentioned self-love in the above points but it really is so important to dating. You have to love yourself first and foremost so that you know what you deserve. You won't take yourself for granted so no one else will either. 6. Who Are You Dating? Great, you've met someone, or a few someones and it's going awesome. I'm all for doing a bit of snooping on their socials just to figure out who the duds and the studs are. 5. Choose The Meetup Spot. I'm a control freak and if I'm honest a little selfish, so I like to pick the place because at least I know I want to go there. I have great taste in how to please ME so I like to choose the spots. But hey, the places I pick are super chill so it's a win-win. 4. Date Multiple People. I LOVE this rule because it helps you stay fluid and not fixate on any one person in particular. It's nice to have options, and healthy competition is always nice (atleast when you're still getting to know each other). And remember how WORTH IT you are. Yes, you can one of you lovers feed you grapes while the other fans you. 3. Have An Exit Plan. So....not all dates go well right? Some ending being major flops. If this happens, don't panic. All you've got to do is be honest. That means honest in all regards. Stop flirting, touching them, giggling in their face and keeping strong eye contact. Your body language will express how you feel and do the heavy lifting. Other than that, just chat with them like a real live human being. Everyone is interesting in their own way. Chat up a storm about their forgetful landlord or neighbors cat! Just be honest at the end of the date that you'd work better as friends. 2. Pretend You're Meeting A Friend. Yay! This is such a great tip. If you go into a date thinking you're meeting a potential friend it'll help lower expectations and level your emotions out. They're just another human being and whether they end up being a hottie you have soooo much in common with or someone whose hilarious but not right for you, atleast you'll walk away knowing you were a decent, friendly human person. Act like a friend and treat them like one. 1. Have Fun. Seriously. Just don't take things too seriously. You may never see this person again so make the time you spend together F-U-N. If you want more Dating Tips from people currently doing a whole lot of it then check out MTV's Are You The One (here's a link to the trailer! anddd episode 1!) it's a hilarious new show that covers the ups and downs of love/lust/like. Another super fun thing you can do while you watch the show is play their AYTO game. 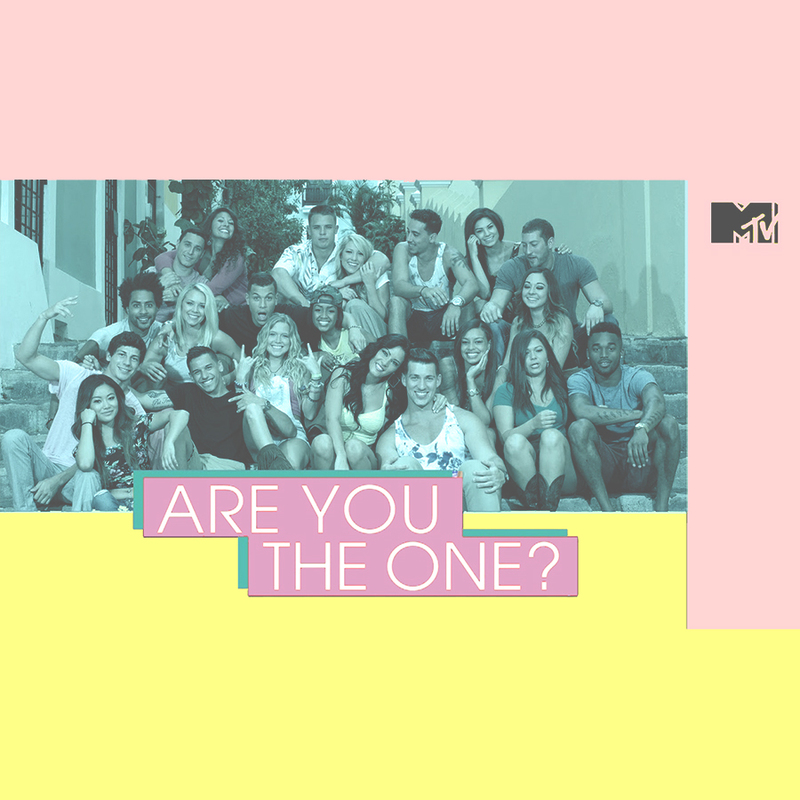 This post is sponsored by MTV and their newwww show“Are You The One?”!